Super Bowl Sunday: The best prices for new TVs and how to see a movie in theaters for $5! Save money on a new television! Many of you have been asking about TV deals before the big Super Bowl game this Sunday. Even though the best prices were in November around Black Friday, there are some deals right now! 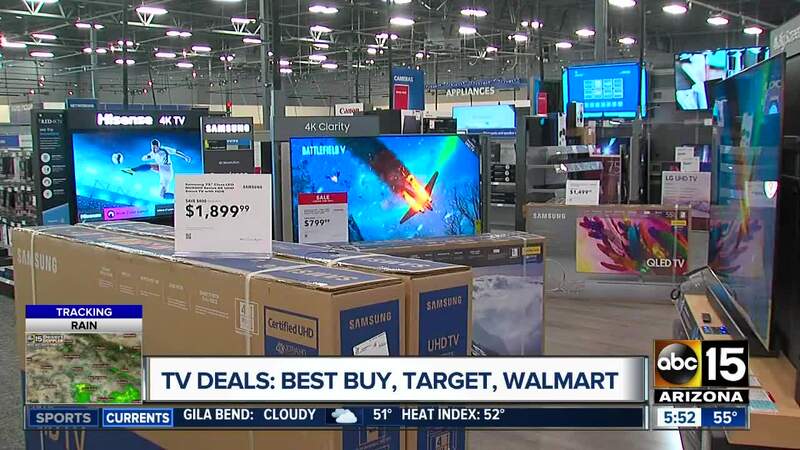 If you're going big, Best Buy has 75-inch sets for under $1500, for the first time. That deal is for big names like Samsung, Sony, and LG. There is a 60-inch LG for $649, and a 65-inch TCL for $499. Target is taking $300 off many LG TVs, and Walmart has a 65-inch Vizio for $698. Keep in mind, these prices fluctuate and may be different when you search. So, do your research. Figure out what kind of TV you are looking for and your budget, and scour the stores to find the best price for you. Some people might be so upset about the teams playing in the Super Bowl that the thought of buying a new TV for the game, let alone watching it, makes you cringe with disgust. If that's you, forget the TV screen and focus on the big screen! Harkins Theatres thinks the 'My Harkins Awards Members' are the true MVPs. By the way, it's free to become a My Harkins Awards Member. So, all day Sunday, guests can enjoy all movies in several formats, including 3D, CIne 1, and Cine Capri (IMAX is excluded). Awards Members will pay $5 per flick, while others will pay $8. You can save anywhere from $3 to $6 or more. Click here to see what is showing. Awards members can also purchase a 'Big Party Popcorn' bag for $10, and it serves ten people! When you do that you will receive bonus points, the total combined score of the game on Sunday. You can start redeeming points on Monday and put the points toward tickets, concessions, and more. Here's how the point system works. Guests receive $5 for every 200 points earned. They receive one point for every dollar spent, and for this promo, you receive bonus points equal to the combined score of the game. So, if the Rams and Patriots tied at 24 and 24, your total in points would come to 48. You get the gist. Also, My Harkins Awards Members get $5 on your birthday each year. So, regardless of who wins the big game, you will be a big winner whether you're looking for a new TV or a way to save at the cinema. Ready, break! Go, team!